Professor, Department of Civil & Environmental Engineering, Yonsei University, 2004-present. President, The Korean Geotechnical Society, Incorporated Association, 2017-present. Director, Green Infrastructure Technology for Climate Change Research Center (GIT4CC), ERC,2011-present. 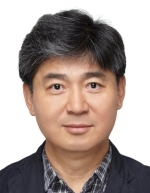 Chair, Department of Civil & Environmental Engineering, Yonsei University, 2010-2011.